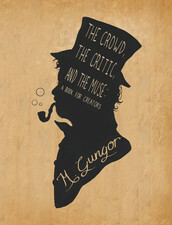 From now until Christmas the iPad iBooks version of The Crowd, the Critic, and the Muse by Michael Gungor is free. I haven’t finished it yet, but what I’ve read is great. It’s been a both thought provoking and funny look at how we are all creative. The iPad version is also full of great visuals and audio to accompany it. In The Crowd, the Critic, and the Muse, Michael Gungor takes an uncompromising–and humorous–look at our creative selves and the world that we have fashioned around us. Through story and reflection, Gungor shows how our deepest beliefs and assumptions about the universe affect how we order creation. returning in a new, better, and more creative way.